U.S. economic data releases this week could indicate improving new-home sales, declining consumer confidence and rising durable goods orders. The eurozone is scheduled to release unemployment numbers, confidence measures, and retail sales data. These data releases could be mixed to positive for the dollar, while the eurozone macroeconomic factors are showing an upturn. Markets may be weighed down by the dollar, which has been deteriorating during the past seven weeks. Overall, a weaker dollar may push silver prices higher. 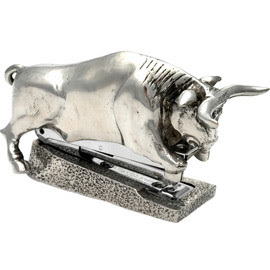 Silver could maintain a bullish momentum this week on technical indicators as well. Last week, silver gained 1.76% on the COMEX to close at $18.10 an ounce and scaled as high as $18.28, breaching the resistance level of $18.05. This week, the metal is likely to test resistance at $18.38. Since silver is trading above exponential moving averages, the white metal could find support at $18 levels. The momentum indicator RSI (14) is treading at 0.517, indicating a marginal upside. Silver outperformed gold last week gaining nearly 1.8%. COMEX silver traded in the range of $17.44 to $18.28 an ounce. Silver futures for September delivery settled higher at $18.10 an ounce during the week. Silver tracked gains in base metals, which rose sharply last week. The London Metal Exchange Index for base metals jumped more than 7% for the week. The gold-silver ratio dropped to 65.62 from 66.80, as silver gained and gold declined. Gold was down 0.03% last week, in comparison to silver's 1.76% gain. Silver prices for spot delivery on the COMEX closed at $18.11 an ounce, while futures ended at $18 an ounce, suggesting that silver prices are in backwardation. Similarly, COMEX gold prices for spot delivery closed at $1189.20 an ounce, while futures ended at $1187.80 an ounce, indicating that gold prices are in backwardation as well. The calendar spread, the difference between two future contracts, between silver Sep'10 and Dec'10 continued to remain thin at -0.057, signifying that the far-month contracts closed higher than the near-month contracts. Meanwhile, the calendar spread between gold Aug'10 and Oct'10 contracts closed at -1.90 during the past week.